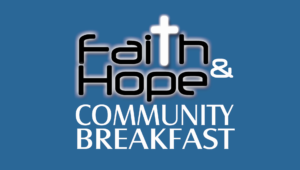 The Faith & Hope 2019 Community Prayer Breakfast will be at the Rushmore Plaza Civic Center Thursday, April 18, 2019. The breakfast buffet will begin at 6:30, with the event starting at 7:00. At the event Gov. Kristi Noem will introduce guest speaker Bob Woodson — former Civil Rights activist, an influential leader on issues of poverty alleviation and empowering disadvantaged communities and an adviser to government and business leaders. Woodson is the author of several books, including On the Road to Economic Freedom and The Triumphs of Joseph: How Today’s Community Healers are Reviving Our Streets and Neighborhood. Alternative Fuel Coffee House, KSLT or Fischer Furniture.